Life expectancy in the Loop is 85 years. Six miles away in West Garfield Park, life expectancy drops to 69. This single, stark difference exemplifies the many challenges faced by residents of Chicago’s West Side. A growing body of scientific evidence shows that the fundamental causes of many illnesses that shorten life expectancy are not based in biology or behavior. Rather, they are determined by social forces like education, employment, food access, violence and transportation. Two years ago, the gap in life expectancy inspired Rush University Medical Center to re-think its role in improving health and wellness. Rush catalyzed the beginnings of a wide-reaching collaborative involving dozens of health providers, nonprofits, funders, government agencies and residents now known as West Side United (WSU). WSU’s mission is to reduce the gap in life expectancy between the Loop and the West Side by 50% by 2030. WSU aims to do this through initiatives in economic growth, health and healthcare, education, and physical environment revitalization. 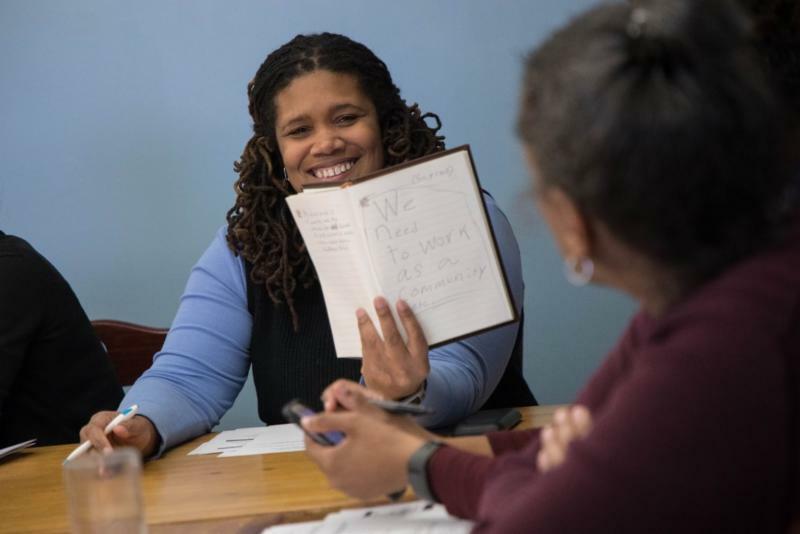 At the end of February, with support from Civic Consulting Alliance, WSU announced a major milestone for the next year – the launch of its goals and 2018 initiatives , drawn in part from feedback gathered directly from hundreds of West Side residents. From the start, WSU members recognized that deep and continuous community engagement would be crucial to their success. Thus, WSU pursued a two-part process to ensure community members had a central voice: a series of community input sessions and the creation of a Planning Committee made up of sixteen West Siders — eight representatives of local organizations and eight community residents. The community input sessions focused on identifying health and wellness priorities in nine West Side neighborhoods: North and South Lawndale, East and West Garfield Park, Austin, Humboldt Park, West Town, the Near West Side and the Lower West Side. Held at several locations across these neighborhoods, the sessions asked community members for their perspectives on what changes their neighborhoods needed, and how WSU could work to create those impacts. As part of the process, pro bono partner Root, Inc . worked with the Planning Committee to build a geographical representation of the West Side’s history, strengths and challenges through Root Learning Map ® experience and a visual display to illustrate the future goals of WSU. While WSU was gathering community input to define its long-term identity and direction, the collaborative identified new initiatives to more immediately address health disparities in 2018. To that end, WSU’s Planning Committee developed two priority health-related initiatives to focus on in 2018. The first aims to increase the number of community health workers who will work in neighborhood spaces to provide expanded access to primary health and social services. The second will explore co-locating primary, mental, and behavioral health services within existing spaces in West Side neighborhoods, such as churches and community centers. On February 28, 250 people came together to mark the official launch of West Side United’s goals and 2018 initiatives. The convening provided a chance for all who are invested in the West Side’s future to learn about the collaborative’s work so far and add their voice to the discussion. 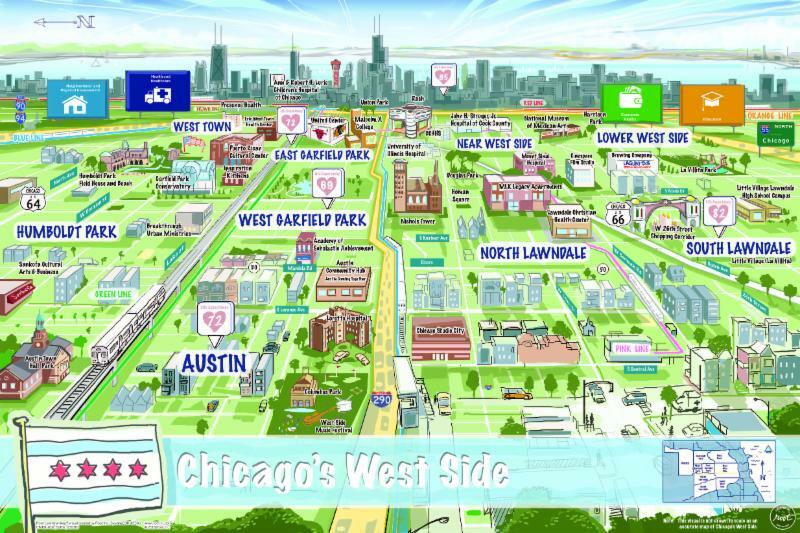 Read more about the work Rush and WSU are doing on the West Side in Chicago Magazine . We are excited to welcome Eleanor Perrone Toriski, our new Principal for Development and Communications, and Jeff Barrett, our new Program Assistant. The nonprofit dedicated to coordinating development in the areas surrounding the planned Obama Presidential Center was officially named "Emerald South Economic Development Collaborative". In 2017, CCA developed and supported the process to identify and recruit neighborhood representatives for its board, co-chaired by Arne Duncan. 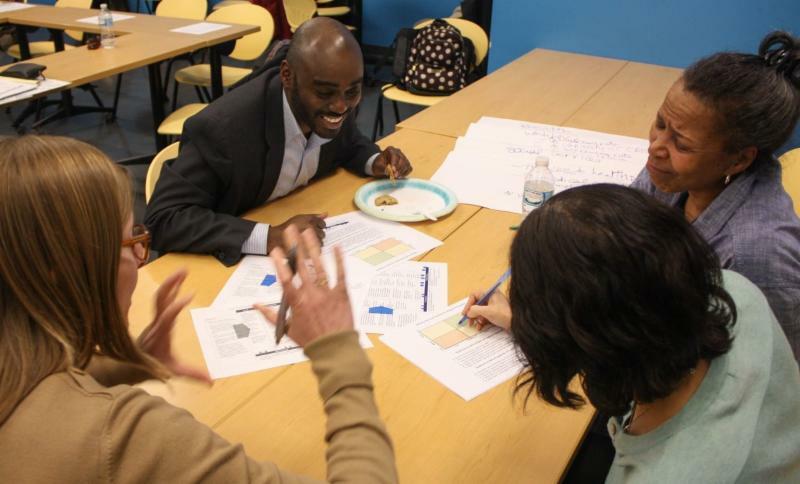 Three dozen people came together on Friday, March 23 at Malcolm X College to talk about Civic Leadership. Thanks to our hosts and all the attendees - read about it in our white paper here.